Truck Train is currently a sightseeing train that runs 7.1 kilometers from Takamori Station to Nakamatsu Station (the Tateno Station to Nakamatsu Station is in the midst of running for a long time due to the effects of the Kumamoto earthquake). On sunny days, it is a popular train that runs slowly along water sources, etc. and guides along the route while looking at the magnificent Aso mountains in a car with plenty of openness. We look forward to your use. It operates only on Sat, Sun, and holidays from March 10 to December 1, Spring, and summer holidays this year. As for the detailed service contents, please see the following. 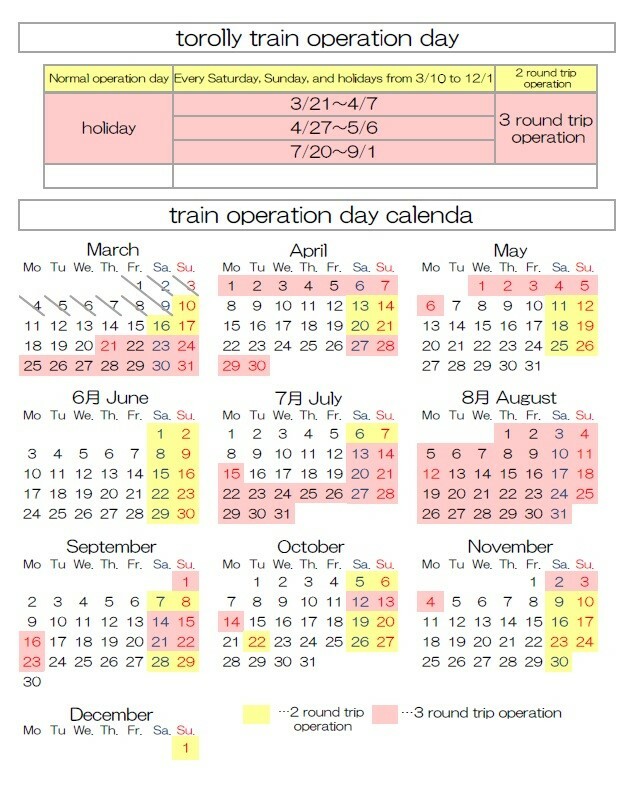 We will operate only during the period from 3/21 to 4/7, 4/27 to 5/6, 7/20 to 9/1. All trolley trains All seats designated / All seats Non-smoking / Pets are not allowed. ※ Adults are from junior high school students and above, children from 3 years old to elementary school children. ※ The stop is invalid. 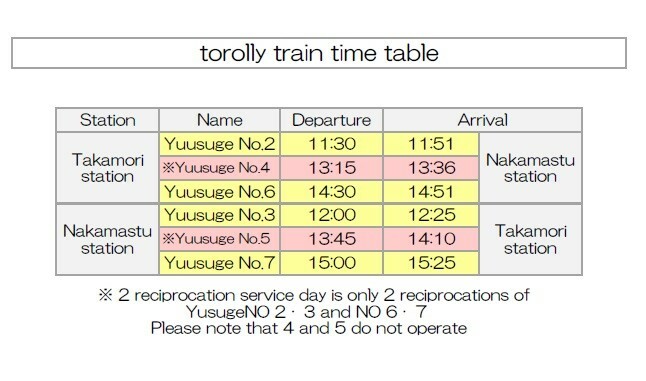 ※ Reduction of round trip discount applies only to the return train. ※ If you need a reserved seat regardless of your age, you will be charged. Copyright(c)2016 Minami-aso Railway Co.,LTD. All Rights Reserved.